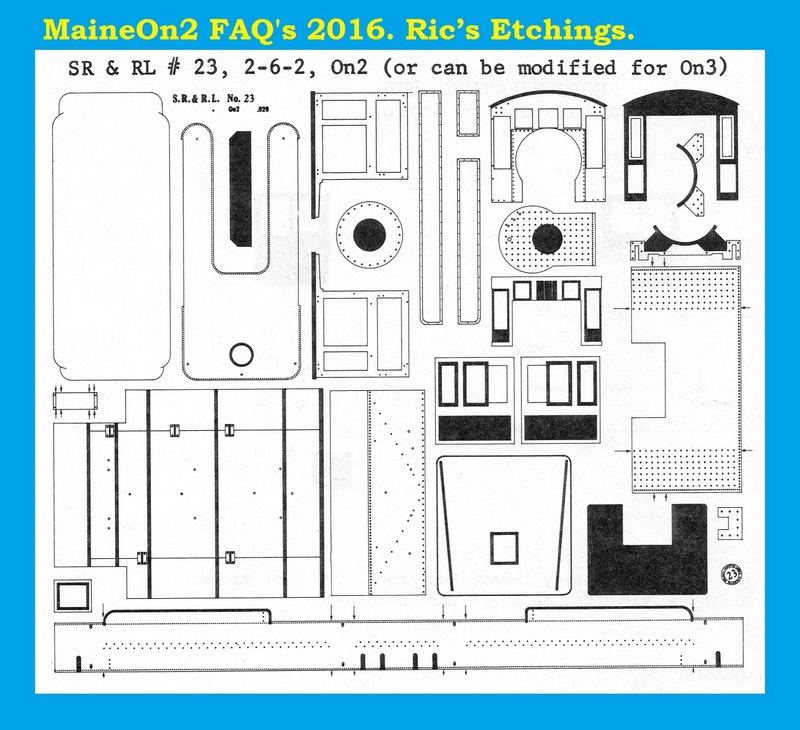 Ric’s Etchings was the name chosen by Ric (Richard) Collins to offer his On2 locomotive superstructure etches (and other parts) for sale to modellers. 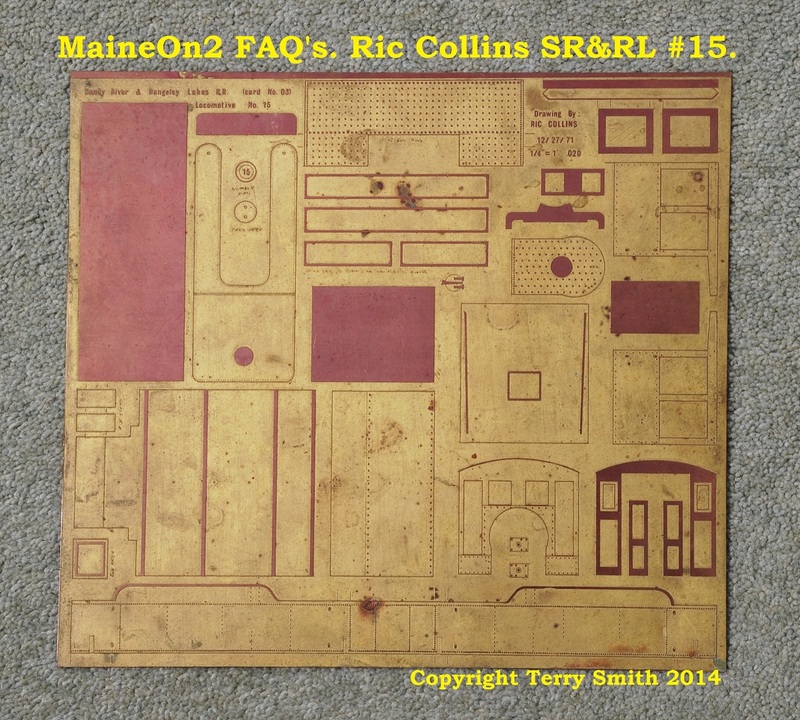 The locomotive superstructure etches were very good quality on .020” (nominal) thick brass sheet, and required the modeller to cut the parts from the solid sheet, and are still sought after by modeller’s today. 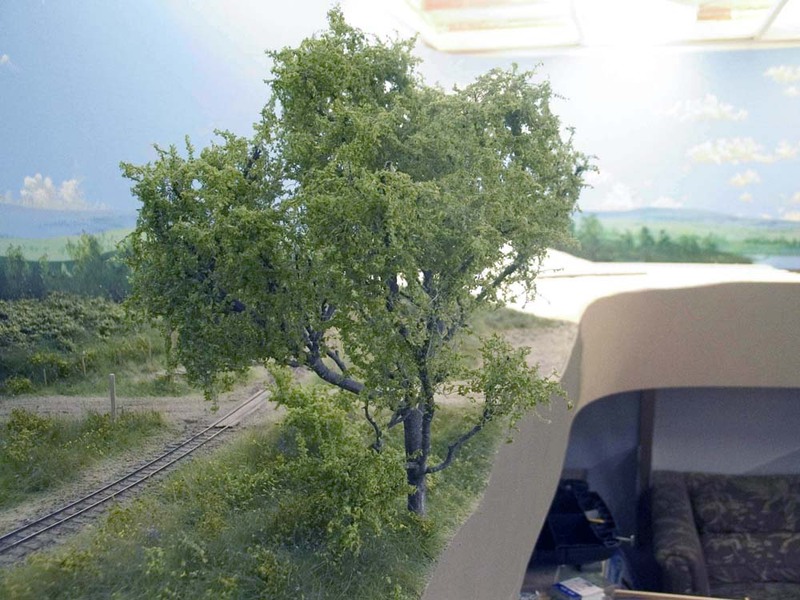 Ric was (and still is) an exceptional model builder, scratch-building a number of iconic On2 model locomotives some of which were featured in the early editions of Finelines and the Narrow Gauge & Shortline Gazette magazines. 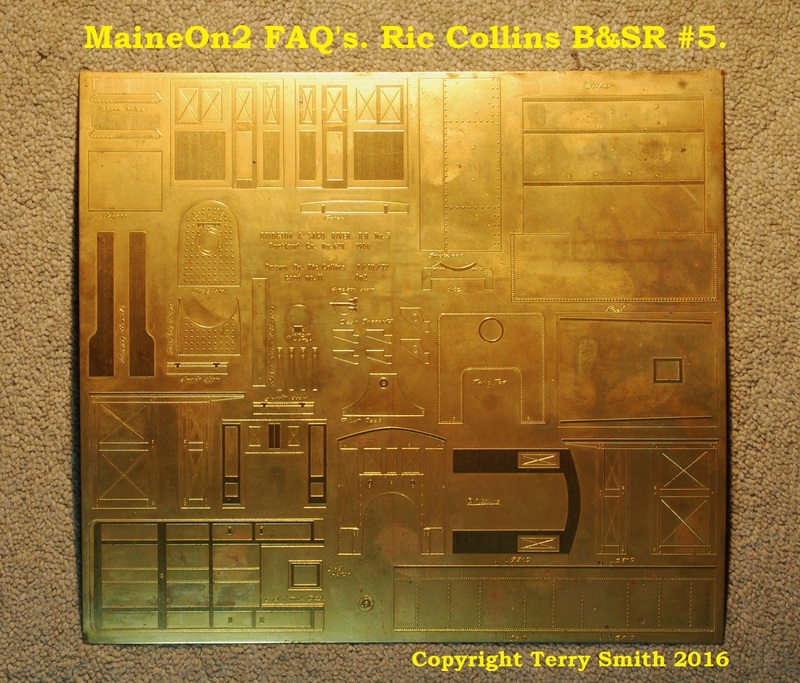 Ric was located on the West Coast of the USA, and he ran Ric’s Etchings from 1972 until 1982 from a number of different locations in California and Oregon. 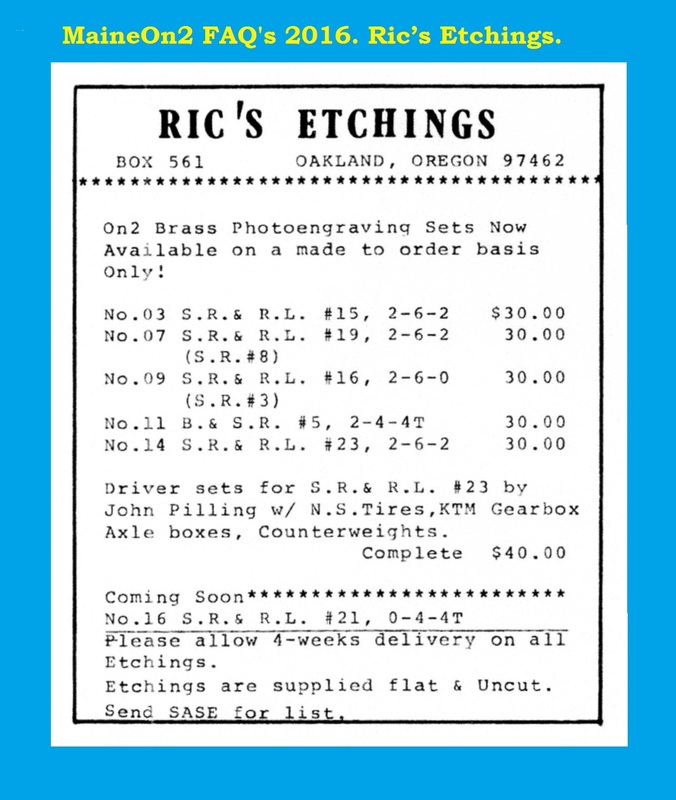 Ric sold the Etchings operation to Sandy River Car Shops in the Summer of 1982. 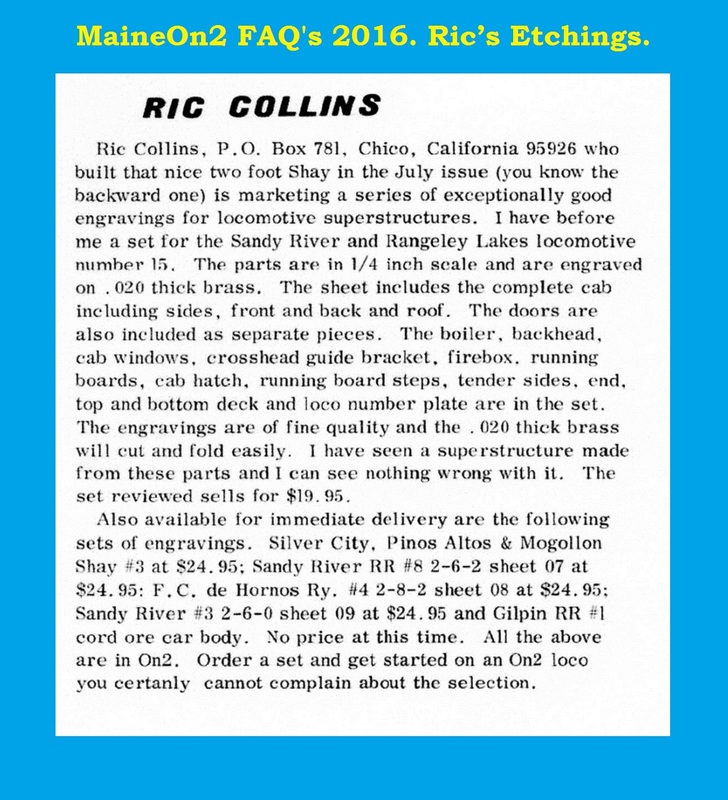 This editorial from the September 1972 edition of Finelines magazine gives Bob Brown’s opinion of the range and quality of Ric’s etches. 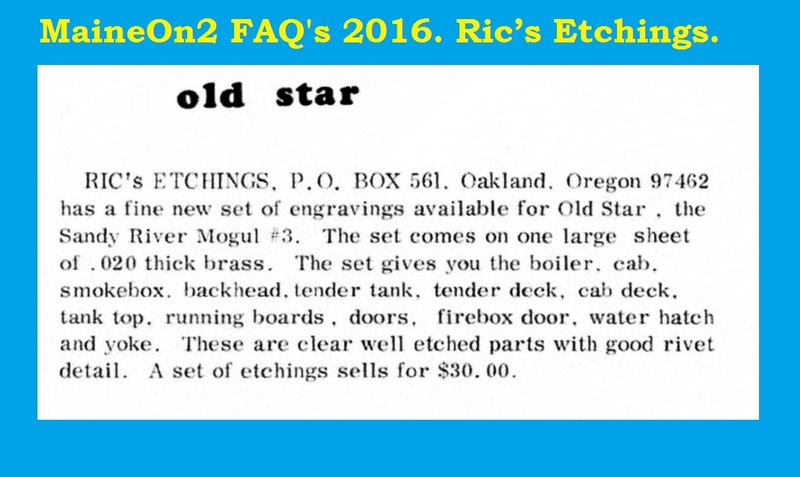 This editorial from the May 1974 edition of Finelines magazine gives advance notice of the Old Star etch. This general advert was published in the June 1974 edition of Finelines magazine gives an idea of the range of etches available. 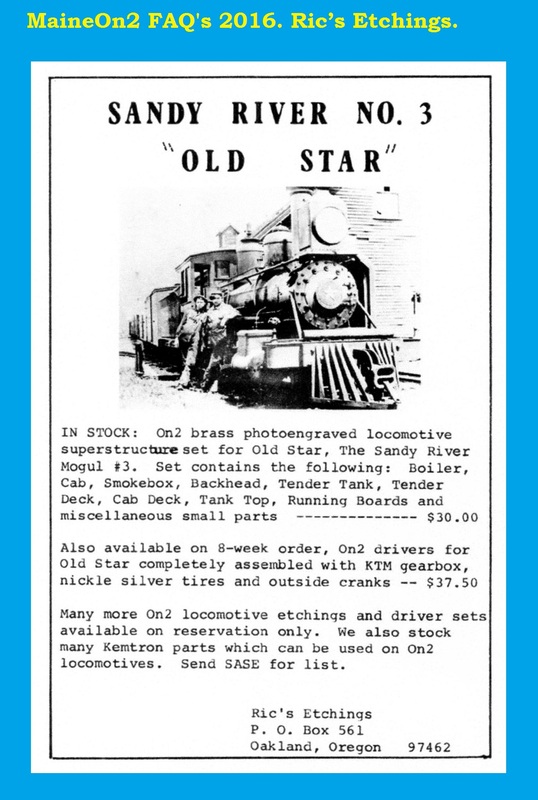 This advert was also published in the June 1974 edition of Finelines magazine to promote the new “Old Star” etch, and also offers a set of wheels, and other items. This picture shows an etch for the B&SR locomotive #5. A picture caption in the May 1977 NG&SL Gazette, showing Ric’s own model of SR&RL #23, also announced that Ric’s etches were available from the Precision Scale Company. Shown above is the catalog entry for the etch. All adverts from Finelines and the Narrow Gauge & Shortline Gazette appear by kind permission of Bob Brown, Editor and Co-owner.